“And how disastrous for us is the continual remembrance of death which war enforces. One of our best weapons, contented worldliness, is rendered useless. In wartime not even a human can believe that he is going to live forever” (16). As Lewis writes, the “Enemy” here would have us stupidly holding onto the illusion that death is something abstract and remote, nowhere to be seen or many years down the road. 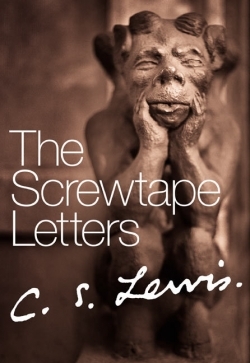 Thus war – or at least such a war as World War II, which provided the backdrop for Lewis’s classic work – can offer a healthy dose of reality to “contented” human beings who live as if death will never come. It forces one to become acquainted (one prays in a healthy and not traumatic way) with the cold fact of death, and in so doing provides a necessary and more complete perspective of life. Indeed, many philosophers and thinkers have said something similar – that it is a wise thing to hold the prospect of death before one. Death is not at the end of life, but at the center (Ambrosio!). Death is what gives life its ontological nature, and thus any denial of death, explicit or implicit, amounts to a denial of the inherent nature life. As such, death in war or otherwise has a way of tearing down the barriers we put up in our desperate attempts to shield ourselves from having to confront it, and thus, though it leaves us vulnerable, reveals the things that make life meaningful.